By Amy Berger, MS, NTP, Well Being Journal, Vol. 25, No. 1. An examination of the scientific literature regarding the causes of AD reveals a wealth of information indicating that the condition is a result of metabolic abnormalities that start outside the brain. It affects the entire body, but health care professionals often miss the signs until damage to the brain is so deep and widespread that it begins to cause cognitive decline that interferes with everyday living. This renders formerly strong, capable people unable to care for themselves and live independently. The research is unambiguous: AD results primarily from a failure of the brain to properly use glucose as a fuel. The connection between glucose handling, insulin signaling, and AD is so strong that many study authors now refer to AD as “diabetes of the brain” or “type 3 diabetes.”2 Although type 2 diabetes and AD are closely associated, it’s incorrect to say that type 2 diabetes causes AD. Many type 2 diabetics will never go on to develop AD, and many AD patients are not diagnosed as diabetic. The relationship between the two is more like that of physiological cousins. That is, they result from the same underlying metabolic imbalances but manifest differently depending on which parts of the body are affected. In type 2 diabetes, the way glucose is handled and insulin signaling occurs primarily affects the muscles, organs, and peripheral parts of the body. In AD, damage is mostly localized to the brain. Research strongly indicates AD is ultimately the result of a metabolic disturbance similar to that seen in type 2 diabetes—namely, insulin resistance and hyperinsulinemia (elevated levels of insulin in the bloodstream for extended periods of time). Although the current dietary recommendations from government health agencies and medical organizations are slowly shifting, we now know that more than sixty years of advice was based on skewed scientific findings regarding saturated fats and cholesterol. This misinformation led to a modern industrialized diet that is low in total fat and cholesterol and has an emphasis on carbohydrates—specifically grains (wheat, corn, rice, etc. )—as the primary source of calories. The few fats that were recommended were vegetable oils, such as soybean and corn oils, which are high in fragile, easily oxidized polyunsaturated fatty acids. Medical professionals erroneously cautioned us away from the more stable saturated fats derived from animal foods and tropical plants, such as coconut and palm oils. In addition, our modern diet is generally lower in phytonutrient- and antioxidant-rich dark green vegetables and brightly colored vegetables and fruits than was the diet our robust, healthy ancestors consumed. The majority of the plant foods we now consume are starchy carbohydrate sources, such as wheat, potatoes, and corn. This deficient diet of the past sixty or so years has been linked to modern conditions as diverse as obesity, heart disease, acne, poor eyesight, polycystic ovarian syndrome, and cancer.3,4 When the physiological and biochemical effects of these foods, coupled with a lack of micronutrient-rich vegetables and whole, unprocessed, naturally occurring animal fats, start affecting cognitive function later in life, we can add AD to the list of conditions caused by this dietary derailment. The brain is an extremely energy-hungry organ. Although it typically accounts for just 2 percent of total body weight, it uses around 20 percent of the body’s glucose and oxygen.5 Considering the brain’s disproportionate consumption of fuel, it is not unreasonable to hypothesize that anything that interferes with fuel delivery or processing in the brain will have dramatic effects on memory, emotions, behavior, and cognition. The metabolic syndrome (MetSy) is an especially important piece of this puzzle. Researchers identify MetSy as a conglomeration of markers that indicate the body is improperly handling carbohydrates.6 If a person has MetSy, their body responds with abnormally high levels of blood glucose or insulin (or both) upon consumption of starchy and sugary foods. These markers include abdominal obesity; elevated triglycerides (fats in the blood); elevated numbers of small, dense LDL particles; reduced HDL; elevated fasting blood glucose and insulin levels; hypertension (high blood pressure); and elevated hemoglobin A1c (a measurement of long-term blood glucose levels). Many of these conditions go hand in hand with type 2 diabetes, and there is reason to suspect that mild cognitive impairment—the precursor to AD—could well be added to the list. Most, if not all, of the symptoms of MetSy can be ameliorated by reducing the amount of refined carbohydrate in the diet. This is because MetSy is the long-term result of insulin resistance secondary to overconsumption of refined carbohydrates. Overconsumption of refined carbohydrates, combined with the relentless stress of modern life and insufficient sleep as well as physical inactivity, leads to a breakdown in the body’s and brain’s ability to process carbohydrates and other fuels. Because of genetics, environmental factors, or just simply the way the chips fall, cognitive impairment or Alzheimer’s disease may be the only observable manifestation of carbohydrate intolerance. Therefore, even if all the numbers on one’s blood work are in the normal ranges, the possibility of problems with carbohydrate handling should not be dismissed out of hand. At least some of the markers of MetSy may be found when the lab work is evaluated more closely. These factors may have been present for years although clinicians did not perceive them as related to brain function and cognitive decline. If we look to type 2 diabetes as a way to describe energy usage in a body that has lost the ability to properly metabolize carbohydrates, we see that not only can the body no longer be fueled effectively by carbohydrates, but chronically elevated insulin levels prevent other premier fuel sources—fats and ketones—from reaching high enough levels in the bloodstream to sustain the body. Type 2 diabetics often experience problems with fatigue, chronic pain, and poor energy levels. This is because they are actually starving at a cellular level, often despite being overweight. The same scenario is at work in the Alzheimer’s brain, and so we can say that, at its heart, AD is the result of the widespread starvation and death of brain cells secondary to hyperinsulinemia, insulin resistance, and the lost ability to metabolize glucose. 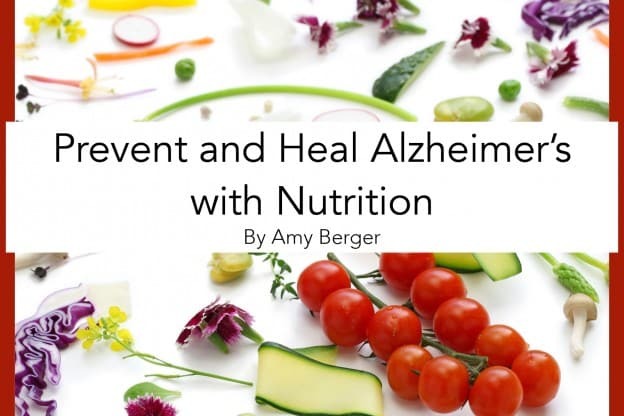 What Is the Evidence That Alzheimer’s Is a Metabolic Disease? Alzheimer’s disease doesn’t develop overnight. Measurable and subjective signs and symptoms appear years before a diagnosis is made. Cognitive function declines by degrees. (In fact, “mild cognitive impairment” usually precedes full-blown Alzheimer’s.) What we consider the normal foibles and forgetfulness of older age might well be the earliest signs that the brain is struggling to fuel itself.… To read the full article, please see the January/February 2016 Issue (available in print or digital format).